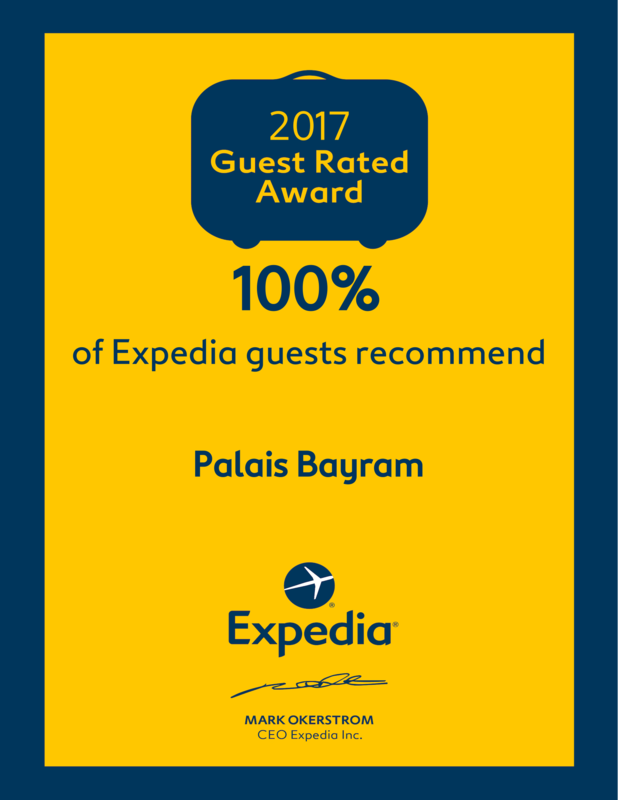 The “Palais Bayram” is a well located landmark and a place of memory for the Tunisian brilliant past. It also offers its guests a very nice conference room, which has an office space on the garden for the secretariat work. The Palais can be rented in part or fully for celebrations, private concerts, weddings, partie s and birthdays. 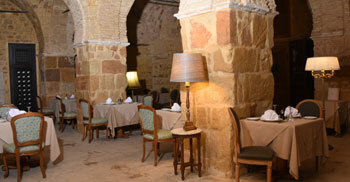 ‘EL MAKHZEN’ vaulted room houses the main restaurant of the Hotel. It is an iconic space, whose spectacular abbatial architecture is emphasized by brushes of light. 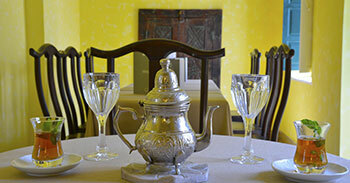 Our talented Chef offers tasty French and traditional Tunisian cuisines and desserts, made of the best local products. Recreated in the outbuildings of the palace on a classic model, the oriental Hammam, directly inherited from the Roman bath, has the three traditional rooms. A hammered marble basin will retain you in the intimate atmosphere of the “caldarium” under its perforated dome supported by 4 columns. A SPA with 2 cabins completes this area of well-being where you may be served snacks or herbal teas. 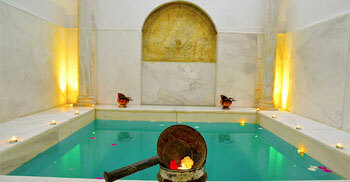 HAMMAM and SPA can be rented together or separately, with or without massage. 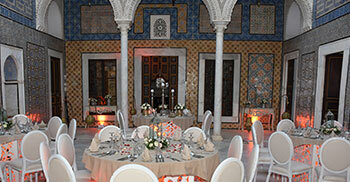 This was my first visit to Tunis and the hotel was just as charming as its photos. 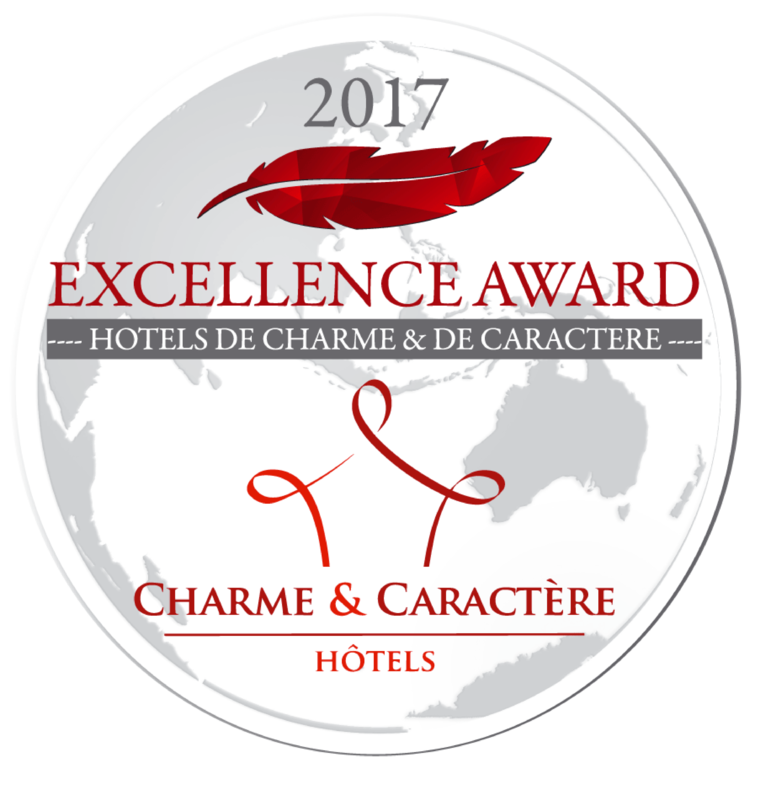 Everything is done to make the client feels the specialty and the authentic experience of the 18th century around every corner . The rooms are well kept and the modern technology while reserving their old ambiance gives the palace the special beauty that you can sense when you first enter the hall. It is the place to spend a quiet relaxing time away from the rush and noisy life we live. The hotel staff are very helpful and kind by all means.